Saturday, March 3rd – at the 19th Hole! 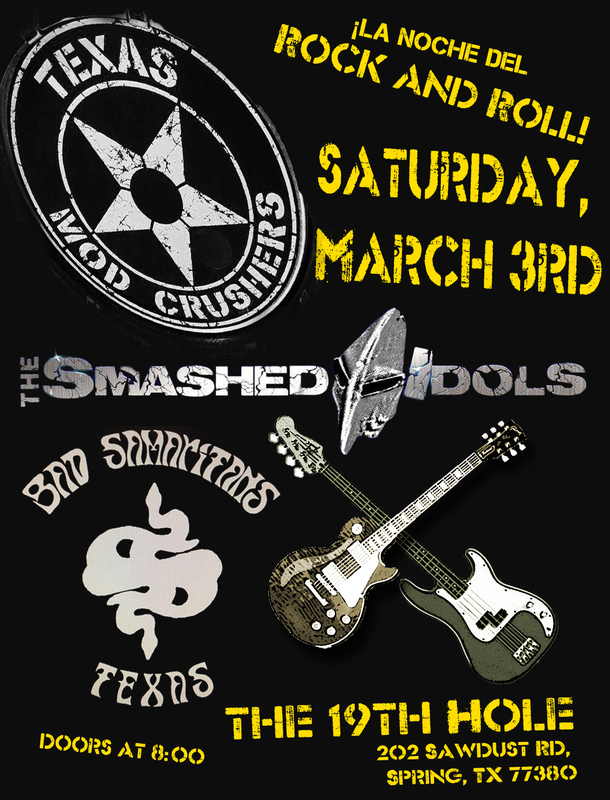 This Saturday, March 3rd, your Texas Mod Crushers will be the 19th Hole on Houston’s rockin’ North Side!! Hope to see you there!